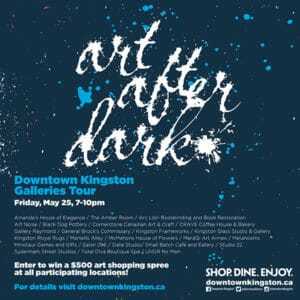 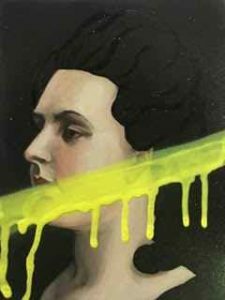 Keight MacLean is a Toronto-based painter, born and raised in Kingston, Ontario. 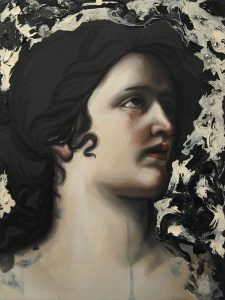 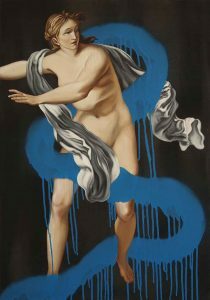 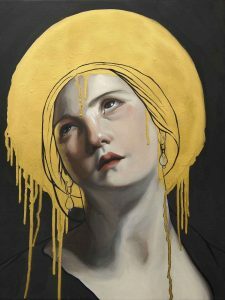 MacLean is a recent OCAD University graduate and an alumna of the school’s revered Florence Program, located in Florence, Italy. 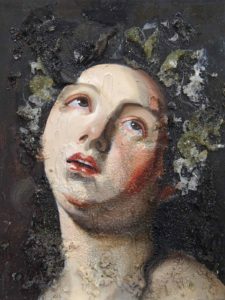 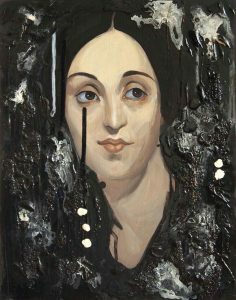 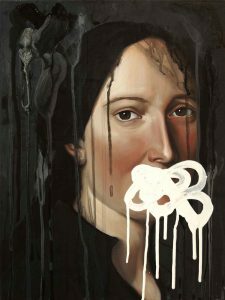 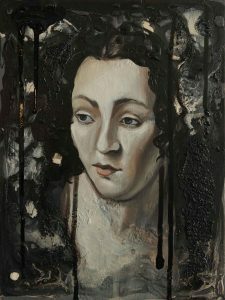 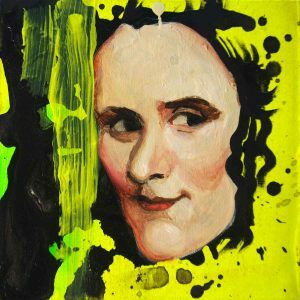 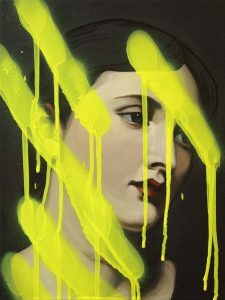 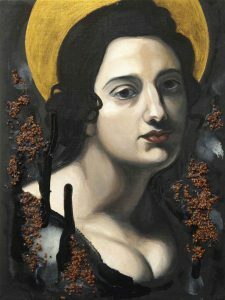 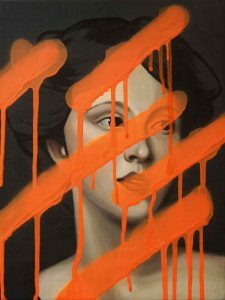 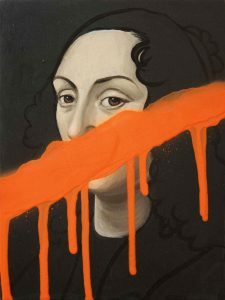 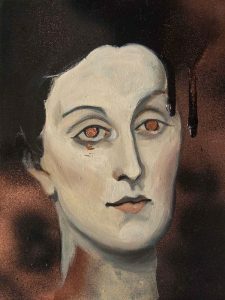 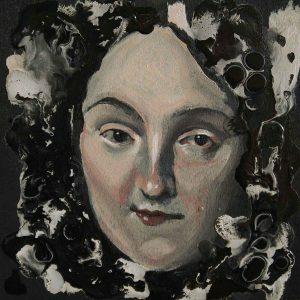 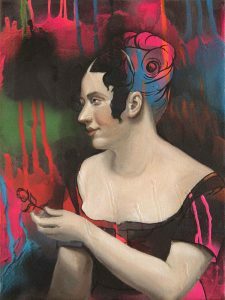 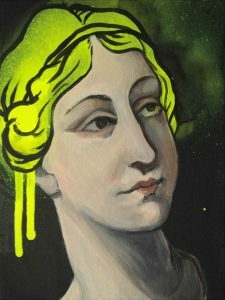 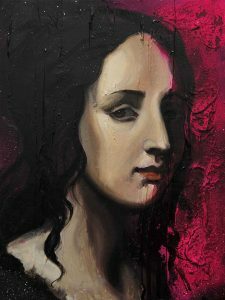 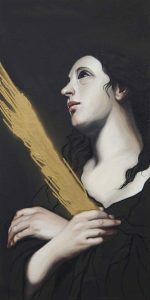 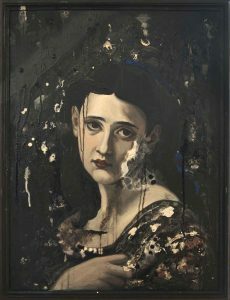 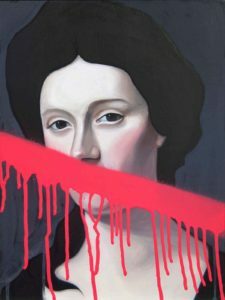 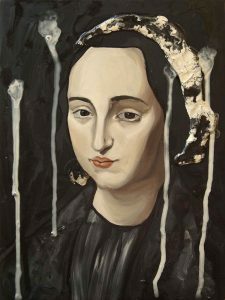 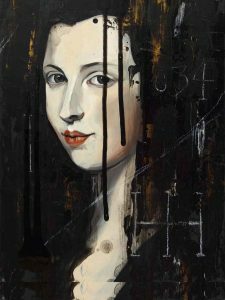 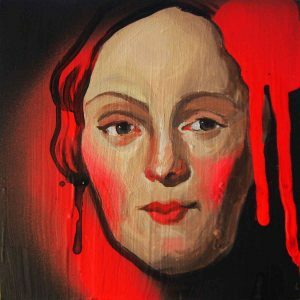 Inspired by her time studying the old masters first hand, MacLean’s paintings combine the old with the new, reproducing historical portraits by hand before applying contemporary and experimental methods such as fluorescent spray paint, re-harvested artists’ mediums and destructive techniques. 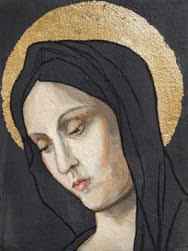 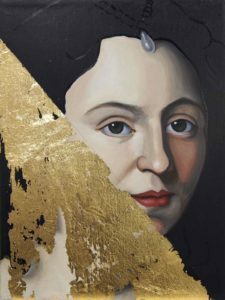 With a love for European history, MacLean’s focus on women was born after years of reading male driven stories and wondering about the lives of the women in the paintings she admired. 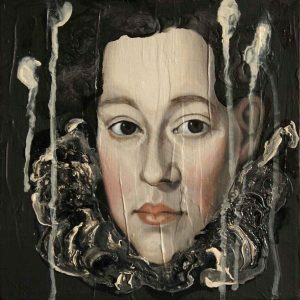 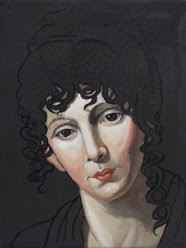 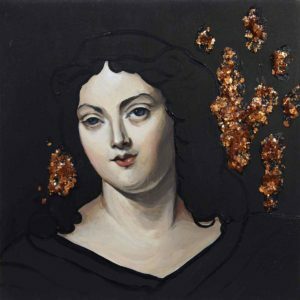 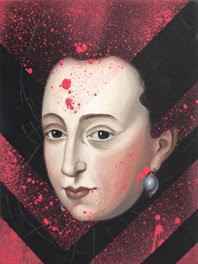 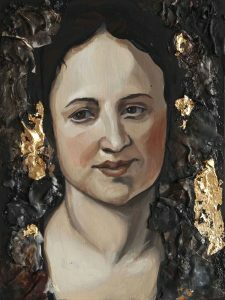 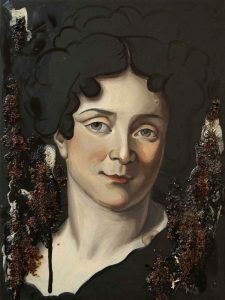 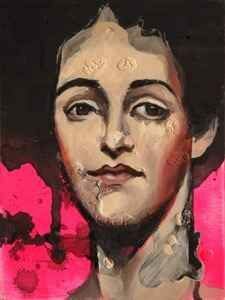 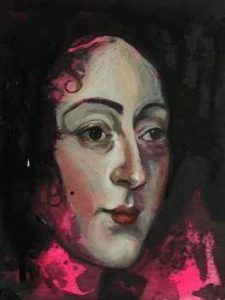 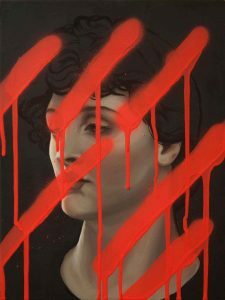 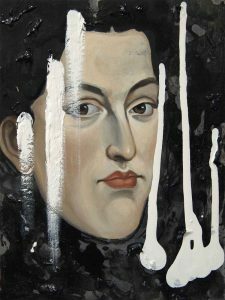 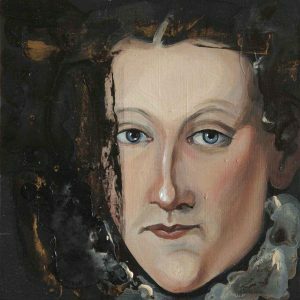 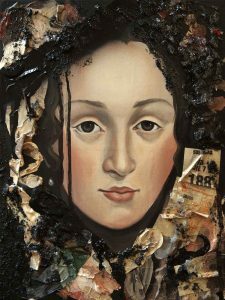 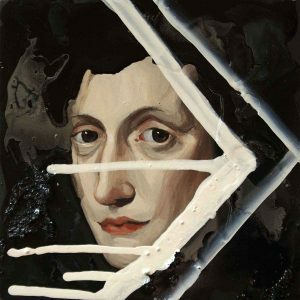 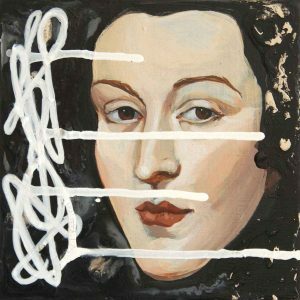 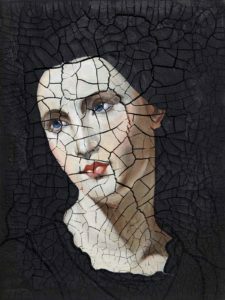 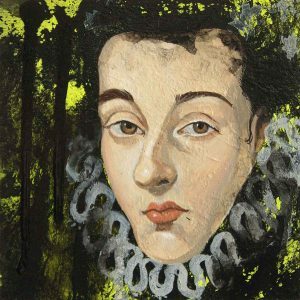 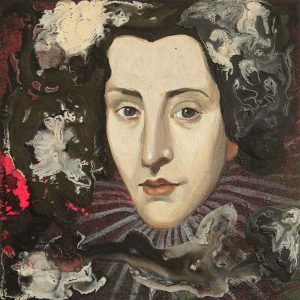 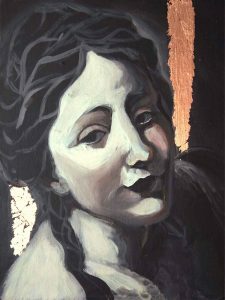 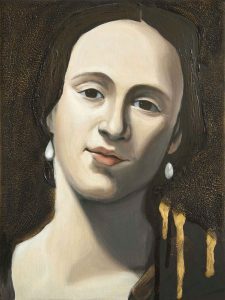 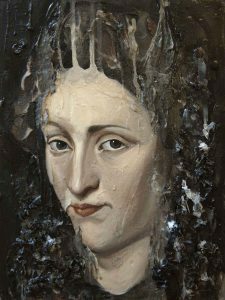 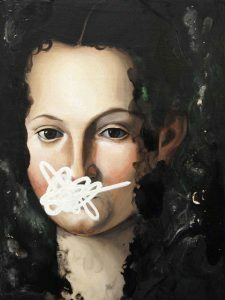 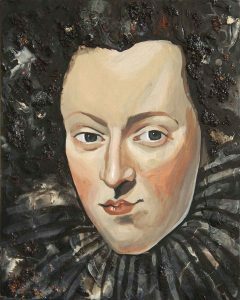 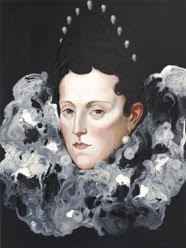 Her work now seeks to celebrate the many women in historical portraits, either without name, known only in reference to their male relations or entirely unknown, giving a voice to the silenced. 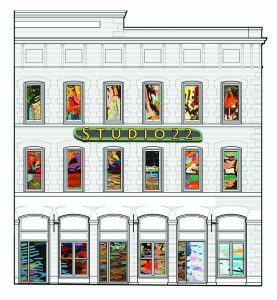 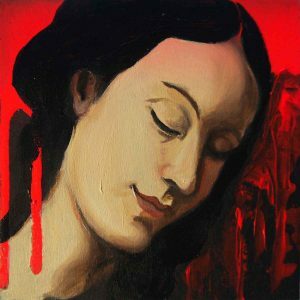 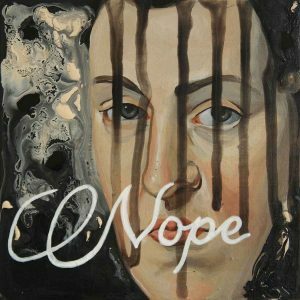 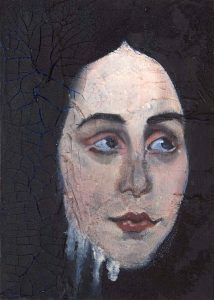 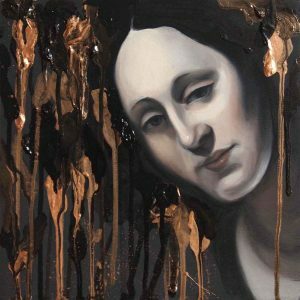 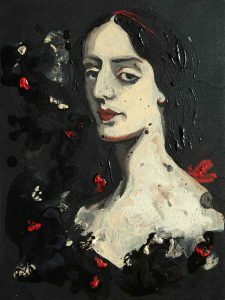 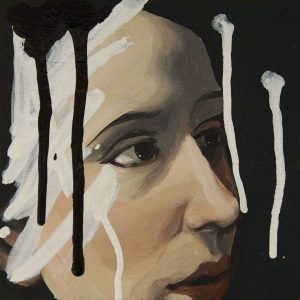 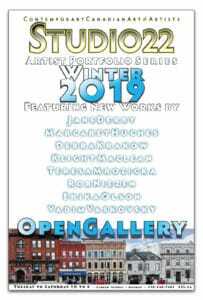 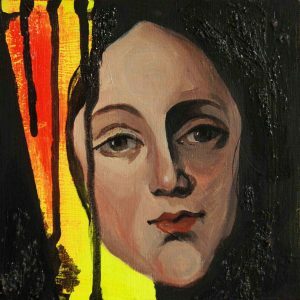 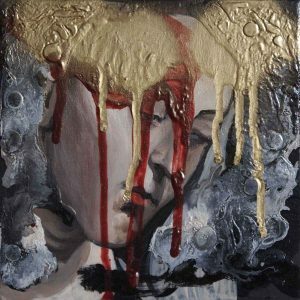 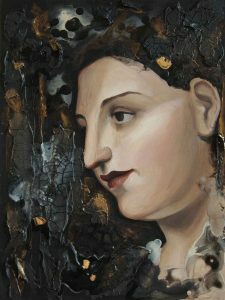 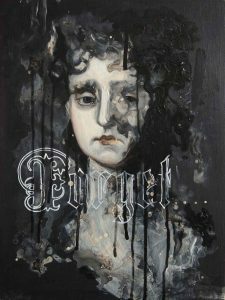 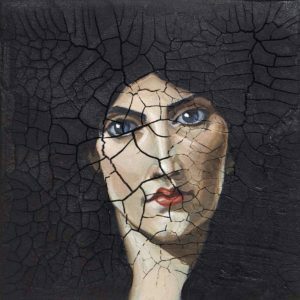 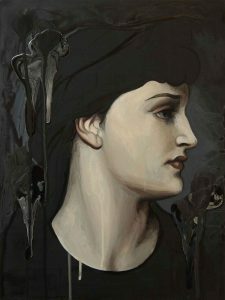 Keight MacLean has exhibited her paintings internationally and her work is in collections throughout Canada, the USA, Italy and the UK. 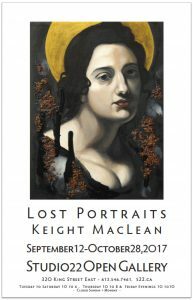 LOST PORTRAITS, her latest body of work, features MacLean’s traditionally inspired portraits, presented with a contemporary twist, such as fluorescent spray paint, re-harvested artists’ mediums and destructive techniques.